I've still not got around to reading Adrian Tchaikovsky's Salute the Dark, but I'm going to have to get a move on or risk being left behind - the Shadows of the Apt series is really steaming ahead: Tchaikovsky has confirmed that book five - The Scarab Path - has been completed. The book is on course for its 6 August 2010 release date. He's also confirmed the title for book six - The Sea Watch - and that he's completed the first round of edits on the book, while book seven - currently untitled - has been sent to his agent for preliminary reading. Book eight is tentatively titled The Air War. Readers often complain about the delay between books, but that's certainly not an issue with Tachikovsky's series: each installment has so far been released only six months apart, which builds great momentum. If you've not checked out the series yet, then do so. Very good epic fantasy that has been described as "World War II meets Ancient Greece. With insects." Check it out. 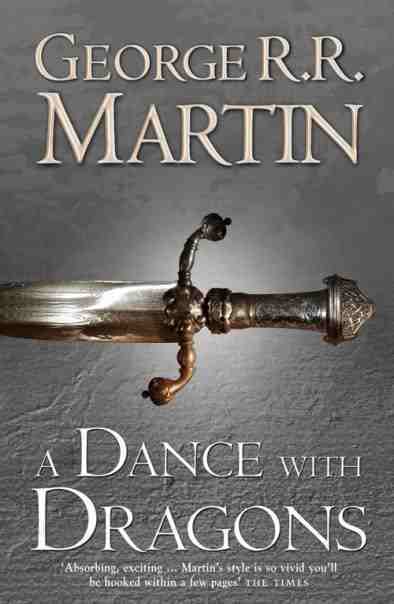 George R. R. Martin recently gave a brief update on A Dance With Dragons. The novel - already longer than the second installment, A Clash of Kings, has been shortened slightly with the removal of a couple of chapters and their subsequent redeployment to the next book, The Winds of Winter. This of course has necessitated some structural tweaking, though this allegedly has been very minor. The removal of these chapters makes Dance four chapters shorter (the two chapters that have been removed, plus two further chapters that no longer need to be written for this novel). Slowly, the long-awaited Dance is inching towards the finish line. It looks pretty likely that it'll be finished this year, though lets not even start talking about publication dates. "The auditions for the part of Ser Ilyn Payne are the strangest I've even been witness to. Ser Ilyn has no tongue and no lines, of course, so the actors just have to stand there and look mean & scary, reacting to the dialogue of other characters being read to them by the casting assistants. No words to work with, just their mouth, eyes, facial expressions. Talk about challenging." "I feel as if the central characters are all working pretty well, their stories making sense and binding nicely together, but there’s still a fair bit of work to do. I’m already some way into the third draft, or the second round of editing, in which I’m addressing some character points that my editor has brought up, taking a look at a few scenes that aren’t working as well as they might, and trying to add some detail to the setting. I suppose you could call it worldbuilding, though not of the, “I shall destroy thee, as king Zanvonzulus the Fifth did the Smejians at the Battle of Saphontes Heights bringing the Third Flidgian War to a victorious close after seventeen years of fighting in the year three thousand seven hundred and twenty two by the Brapfistic Reckoning, varlet!” but hopefully of a more subtle type." At the moment a January 2011 release is plausible. 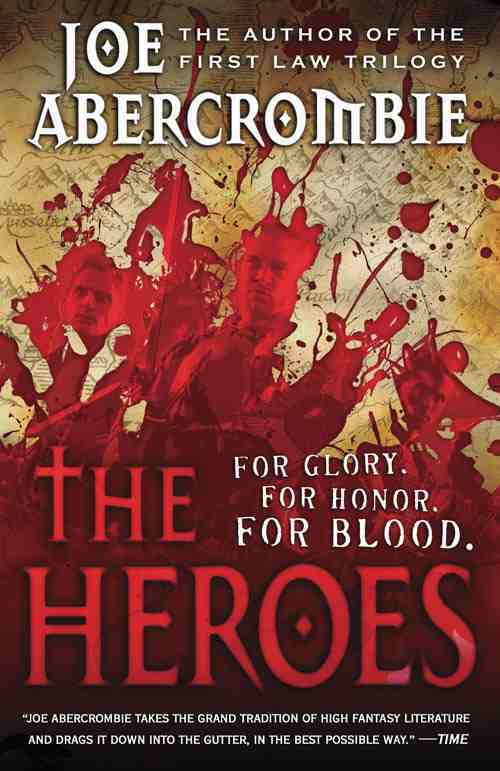 I'm quite interested in this book, since I really enjoyed Abercrombie's first trilogy but was left, um, cold by Best Served Cold. I've got a feeling The Heroes will be more to my liking though, but we'll have to see. No UK artwork as of yet, though hopefully it'll be better that the US cover (above left), which doesn't do much for me at all. "I’m actually starting to inch forward in the narrative, and I have – possibly a side effect of writing a lot of game and tie-in comic-book treatments recently – a clearer overall idea of where the book will go than at any time in the last two years. It may take a while to get there, but at least I have a map. And the good news is that, looking at that map, it seems me this book is likely to be a good deal longer than The Steel Remains; so if you liked Ringil and Co’s first outing, there should be about half as much again to like this time around." As has been endlessly commented on previously, The Steel Remains was burdened with a huge amount of hype/buzz/whatever, which probably didn't do it many favours, at least from a critical perspective. 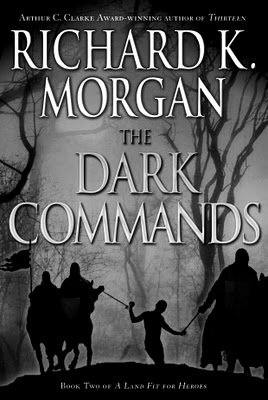 The Cold Commands - the novel looks like it's moving back to the original title, from The Dark Commands - will most likely bring less baggage, and will probably be all the better off for it. I enjoyed The Steel Remains, so am interested to see what direction the story goes in. No UK artwork yet, but the US cover (above left) is pretty cool. Thanks Wert. I'm not a fan; much prefer the US cover, which is more in keeping with the style of the first UK cover. Four great authors, four eagerly anticipated books these! Good on you dubai hotels, that's the spirit! 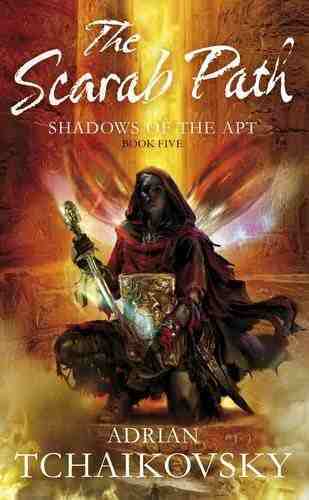 Am eagerly awaiting the next Apt book, totally loving that series and especially digging the quick release dates. I'm with you on Shadows of the Apt series, taking Salute the Dark away with me on holiday in a week to make sure I get it read in time before book 5 comes out. Rough online preview chapters - good or bad idea?